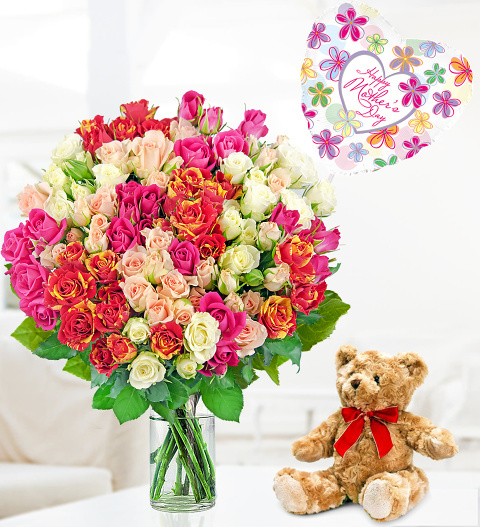 This impressive selection of spray roses is superbly complimented by the addition of a cheerful balloon and lovable bear. When searching for the best Mother's Day flowers and gift, look no further than this amazing bundle! The air filled balloon measures 9'. Chocolates may contain nuts.